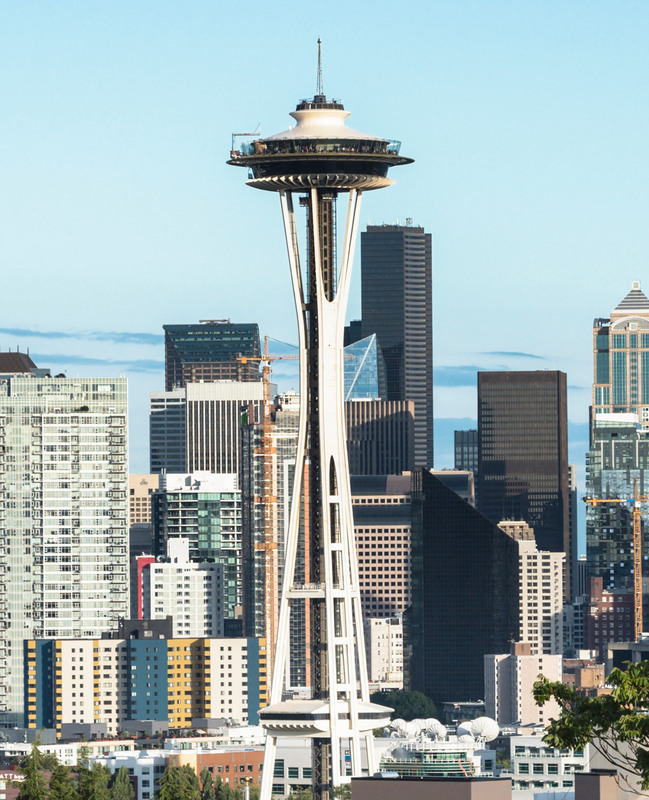 Seattle is home to must-visit sights like the Space Needle and Pike Place Market. 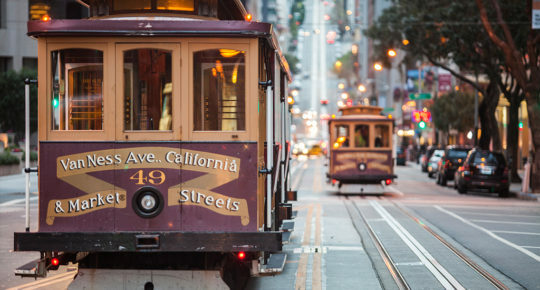 It’s a city just waiting to be explored. Here are my 7 spots to get some double-tap worthy Instas. 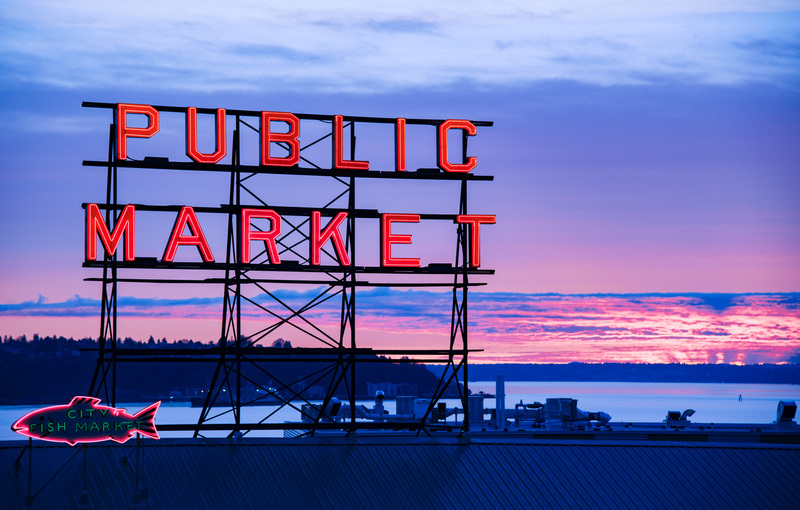 Every trip to Seattle should include a visit to the city’s beloved market. The market’s been running for more than 100 years. From fresh blooms and fish tosses to artisan crafts and pretty lattes (Storyville is my favourite), Pike Place has a photo op for every niche Instagrammer. Snap a photo at the world’s first Starbucks while you’re here too. 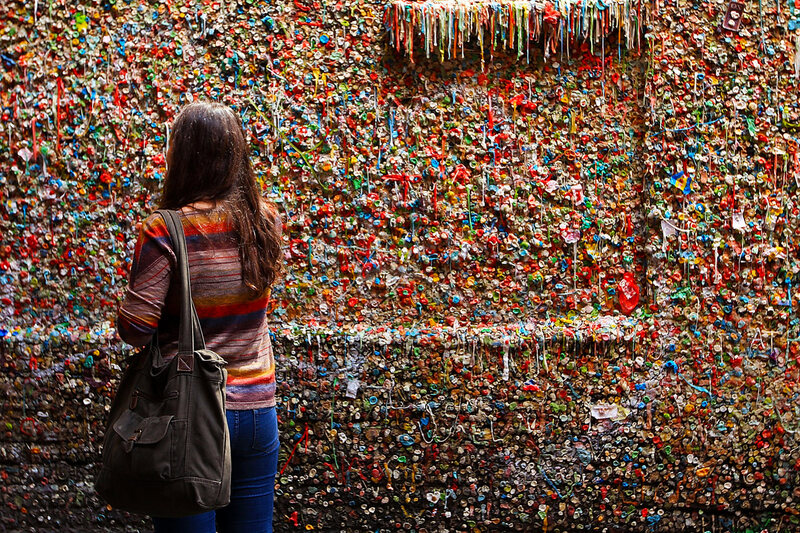 This is exactly what it sounds like – there are thousands of pieces of chewing-gum stuck to this wall right next to Pike Place Market. It makes for a pretty unique (and a little gross) kind of art. There isn’t a sign to get here, so go to the main sign and entrance for Pike Place Market and take the stairs to the left into Post Alley. After that, the wall is fairly hard to miss! Most of the shots you see of the city skyline will have been taken from this tiny park in the Queen Anne neighbourhood. It makes it a perfect spot for photos. You’ll get views of the Space Needle, much of downtown, and on a clear day, Mount Rainier. 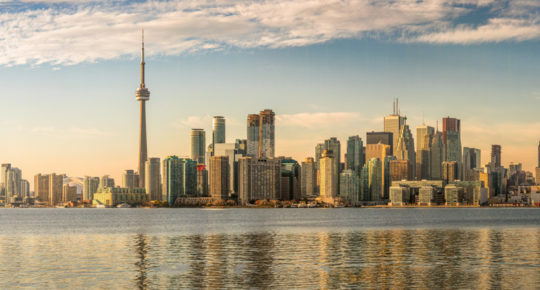 Insider tip: If you’re good at night photography, I recommend coming then to really capture the city, or get there early and capture the sunrise. Possibly the city’s most iconic landmark, built for the 1962 World’s Fair, the Space Needle reaches 605 feet into the air. Take the elevator to the observation deck and you’ll be treated to sublime views of the city. Insider tip: Make a reservation at SkyCity, the Space Needle’s revolving restaurant. 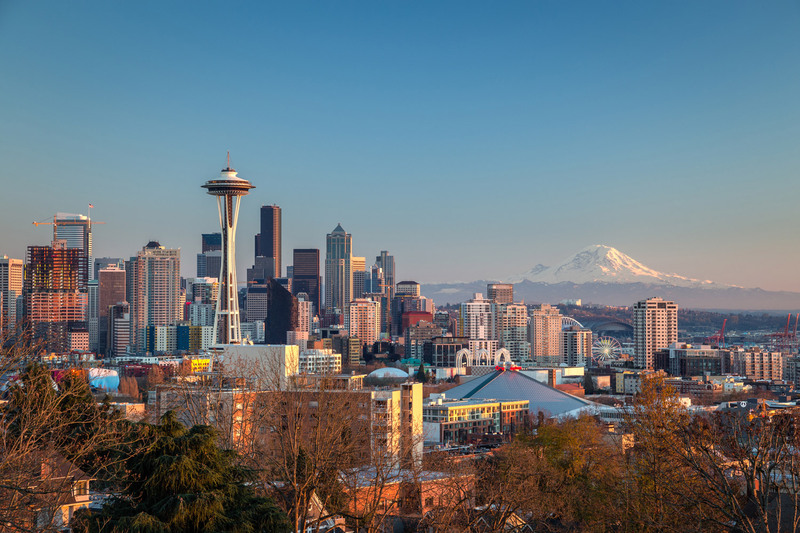 With a menu highlighting the best of Seattle’s local seafood and beef dishes, and a 360 panorama of the city, this is an experience of a lifetime. 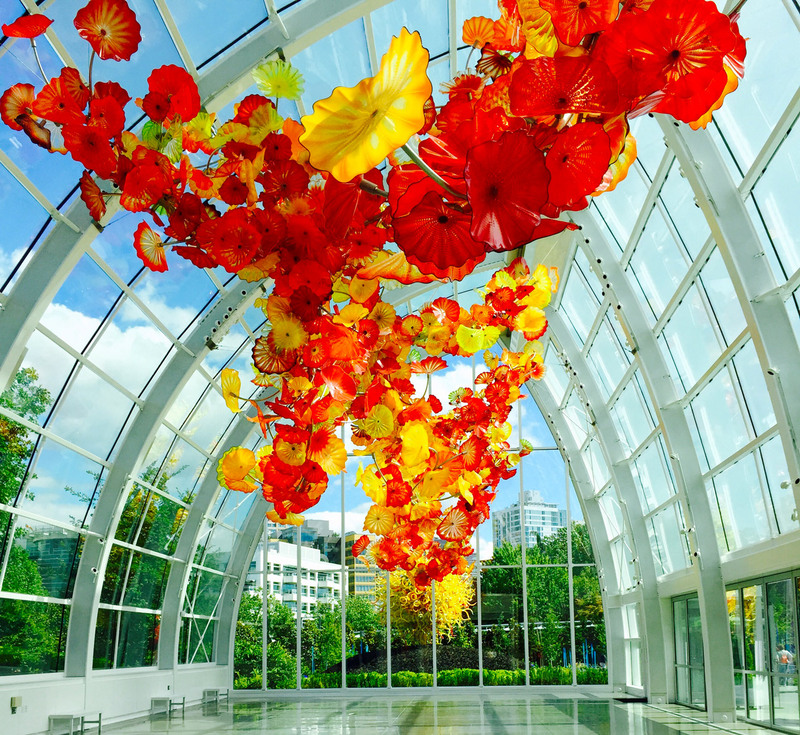 Right beside the Space Needle, you’ll discover the incredibly colourful Chihuly Gardens and Glass – a 45,000 square foot gallery showcasing the studio of Dale Chihuly. Prepare to be mesmerised by towers, chandeliers, and dramatic sculptures of marine and floral forms. Be sure to go and see the huge suspended sculpture in the middle of the Glasshouse. 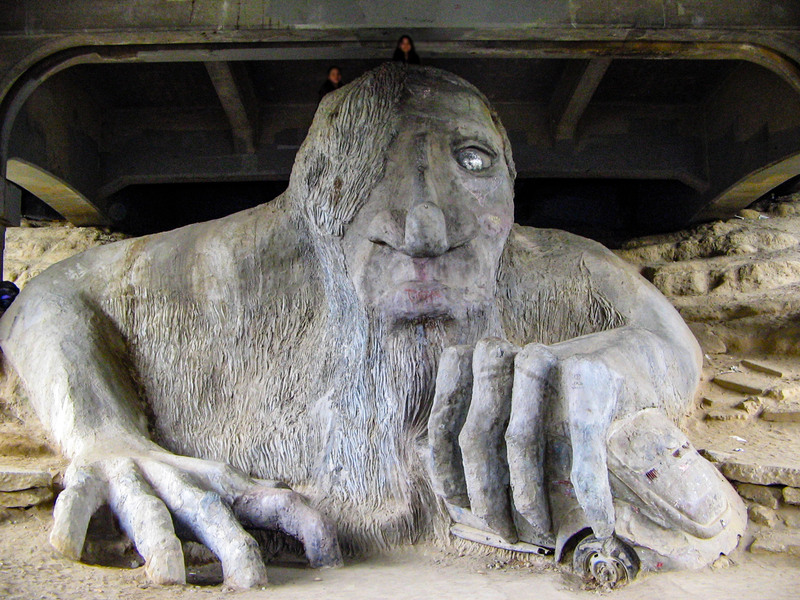 The Fremont Troll is located under the Aurora Bridge (it’s a troll, after all) at N36th Street. The troll is so big that he’s crushing a Volkswagon Beetle under his hand. He’s one of the more unique Instagrammable spots in Seattle so climb up on him and have your camera ready. This is a fun photo spot. Insider tip: Fremont is the perfect place to see a less touristy side of Seattle. While you’re there, head down to the main section of Fremont Avenue and check out the shops, restaurants and bars. The Museum of Pop Culture (MoPOP) is a perfect mix of super-modern architecture and legendary rock-and-roll history. 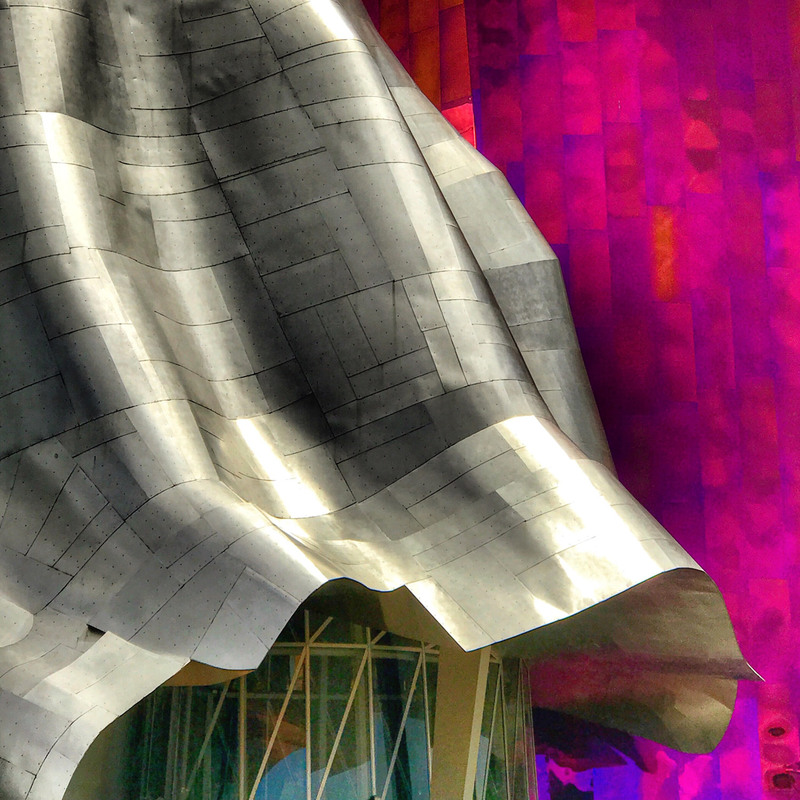 The MoPOP was designed by Frank Gehry and showcases science fiction exhibitions, interactive pop stations, sound sculptures and much more. MoPOP’s exterior is made up of three-thousand panels, with 21 thousand individually cut and shaped stainless steel and painted aluminium shingles. Each piece responds to light in different ways meaning you’ll get a truly unique picture no matter when you visit. 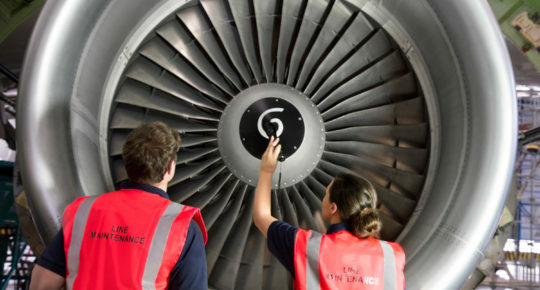 We fly to Seattle four times a week from Dublin and offer seamless connections from cities across the UK and Europe. 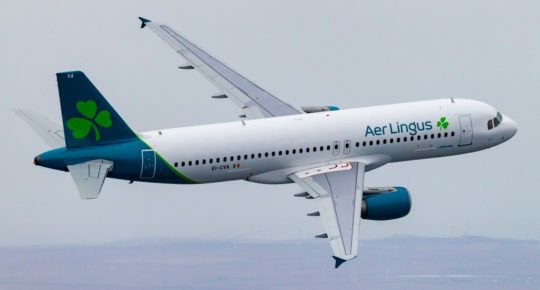 Book your trip to Seattle now at aerlingus.com. Read next: 12 incredible things to do in Seattle.